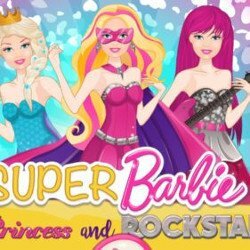 Super Barbie is on her way to fight another crime with cute sidekick, Parker, but while they were flying our heroine crashed into a billboard. 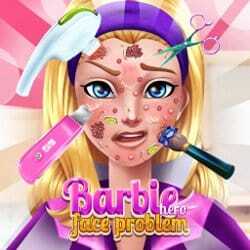 Hurry to the super secret hospital and heal Barbie! Super Barbie got hurt really bad, so change her into a comfy robe and begin the treatment. 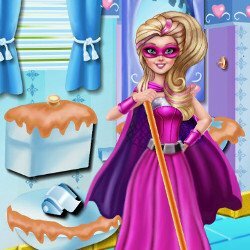 Become Barbie’s superhero by disinfecting her wounds, getting rid of nasty sticks and placing casts, and she will be ready to save the day. 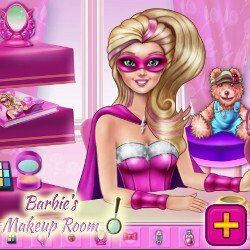 Super Barbie Hospital Recovery is an mobile game and it’s playable in browsers such as Safari and Chrome. You can play the game on smartphone and tablet (iPhone, iPad, Samsung, Android devices and Windows Phone).